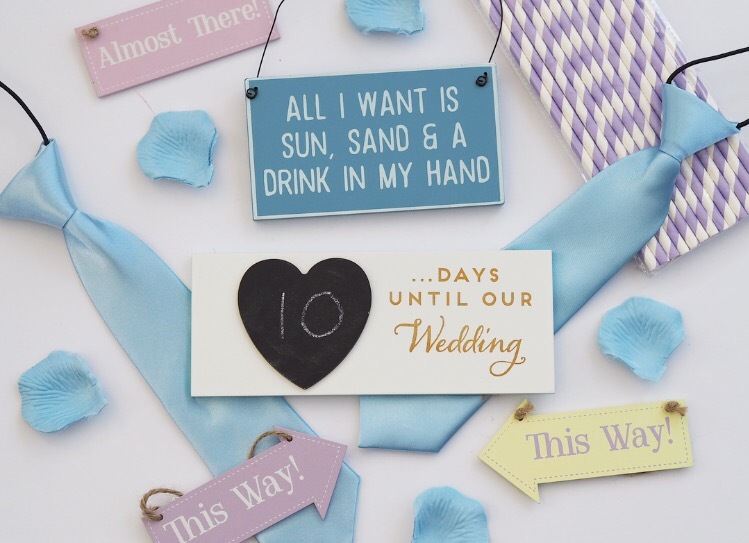 Wedding Wednesday – Our Santorini Wedding – One Week to Go! I want to be more positive in this update, I really do, and I will be mostly but yet again we’ve had issues and stress from our wedding planners. The latest saga was to do with an additional piece of legal paperwork we were told we would need, which would have caused huge issues and additional costs to have obtained in time to fly out. I spoke to solicitors and I stressed myself out to the max before we were told it was a mistake and we wouldn’t need it after all. Obviously it was a relief but I just don’t have much faith in everything when things like this keep happening. The stress led to me having chest pains at the beginning of last week and I ended up at the doctors, with him attempting to put me on bed rest, not really feasible with three kids in the summer holidays but Ed has been brilliant at helping me rest as much as possible and cooking for me every night when he gets in from work. Luckily the pains in my chest seem to have gone away, at least for the time being, and I am really, really trying to feel more positive about everything and to get excited now it’s so close. We fly out in six days and this week is being spent packing and getting everyone wedding ready including all my beauty treatments and having the kids’ hair cut. I’ve been manically doing last minute DIY projects, mainly stamping name tags by hand (why did I do that to myself?) and making sure we have everything packed for the venue. My mum and my nan have arranged for an afternoon tea at the weekend, just before we fly, as a way of celebration and I’m looking forward to relaxing and enjoying the final few days before we fly. The journey to get to this point has been fairly long and incredibly stressful, but it will be worth it when we are finally man and wife. 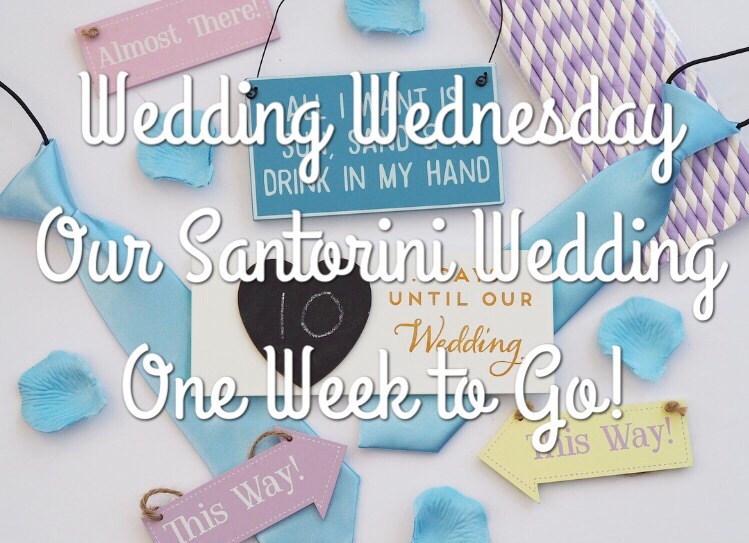 3 Comments on Wedding Wednesday – Our Santorini Wedding – One Week to Go!